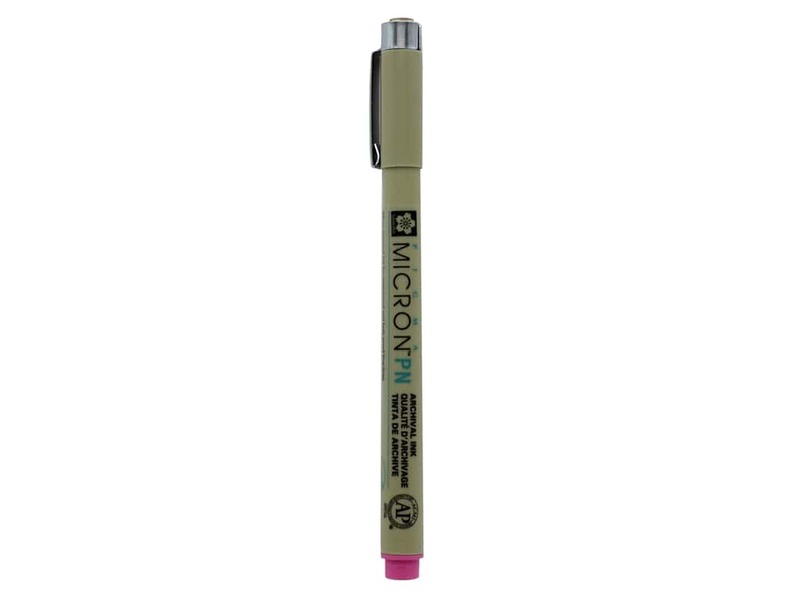 Description: Sakura Pigma Micron PN Pens makes your writing appear delicate and special. Durable plastic nib provides skip-free writing. Perfect for memory albums, decorative painting, quilt embellishments, scrapbooks, doll face drawing, graphics, drafting, and illustrating. Waterproof, archival quality, fade resistant, bleed free, quick drying, and pH neutral. Fine .4 mm to medium .5 mm lines can be achieved based on pressure. Rose.